At my age, in this still hierarchical time, people often ask me if I’m “passing the torch.” I explain that I’m keeping my torch, thank you very much… and I’m using it to light the torches of others. Because only if each of us has a torch will there be enough light. 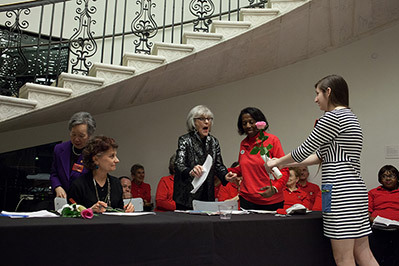 The Awards honor women who have been working for the larger good their entire lives, in the tradition of those who sparked so many reforms in the aftermath of the Triangle Shirtwaist Factory Fire over one hundred years ago. 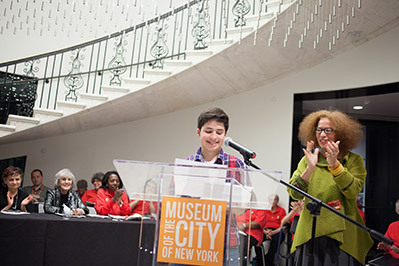 The Fourth Annual Clara Lemlich Awards were held Wednesday April 2, 2014 at the Puffin Gallery for Social Activism at the Museum of the City of New York. Watch the video below, and learn more about the honorees by clicking on the images to the right. 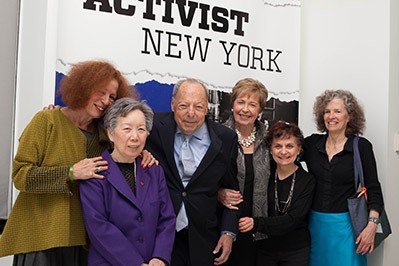 Perry Rosenstein is president and co-founder (with his wife Gladys Rosenstein) of the Puffin Foundation, dedicated to “ …continuing the dialogue between art and lives of ordinary people.” The Puffin Gallery for Social Activism at MCNY hosts the Lemlich Awards tonight. Courtney Francis is a full time volunteer organizer for the Women’s Press Collective, where she teaches a class in labor history and works on helping working women create, design, print and distribute their stories. Edgar Romney is an organizer and activist with a distinguished career in the ILGWU, its successor organizations UNITE and UNITE/HERE and now Workers United/SEIU. He was the longtime manager of Local 23–25, and now serves as the Secretary-Treasurer of Workers United and as a Board member of the Amalgamated Bank. Michael Miller is Clara Lemlich’s great grandson. He is an eighth grader at The Computer School, MS 245, and will attend the Bronx High School of Science in the fall. Natalia Saavedra is a recent graduate of CCNY in International Studies, currently working for Fundacion Amistad, a not-for-profit working to improve US-Cuban relations through cultural initiatives. She also works to increase youth participation at the UN, with initiatives at CCNY, and by speaking at youth panels, working with international youth, and planning youth led briefings. Neal Rosenstein is Vice President of the Puffin Foundation, which provides grants to artists and art organizations who are often excluded from mainstream opportunities due to their race, gender, or social philosophy. Rachel Bernstein researches, writes about and teaches American working class history, with a focus on New York City. 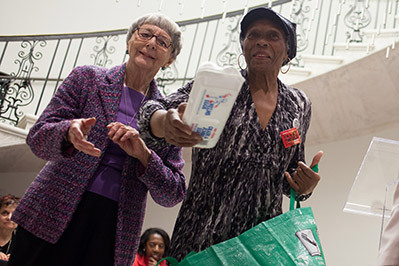 She is a co-founder and co-historian of LaborArts.org, taught in the graduate program in public history at NYU for decades, and works on public history projects with the Robert F. Wagner Labor Archives at NYU and elsewhere. She is author, with the late Debra E. Bernhardt, of Ordinary People, Extraordinary Lives: A Pictorial History of Working People in NYC. 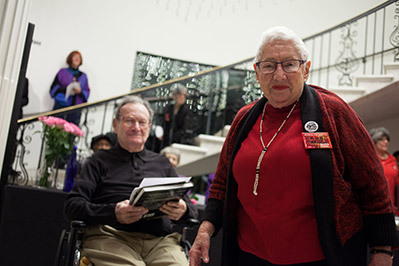 Rose Imperato has been a guiding light and driving force with the Triangle Fire Coalition since its founding in anticipation of the 2011 centennial. She currently works as an administrator at CUNY’s Murphy Institute. Henry Foner is a retired labor leader, historian, songwriter and activist. He retired as president of the Fur, Leather and Machine Workers Union in 1988 after 27 years in that position. 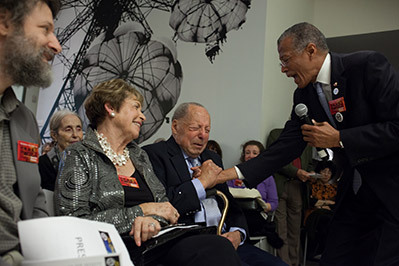 He has worked as co-founder and co-historian of Labor Arts since its founding in 2000, and has served as president of the Paul Robeson Foundation, on the editorial board of Jewish Currents magazine, and as the editor of Work History News, the newsletter of the New York Labor History Association. The fourth annual Clara Lemlich Awards are generously funded by The Puffin Foundation and The Shelley and Donald Rubin Foundation. 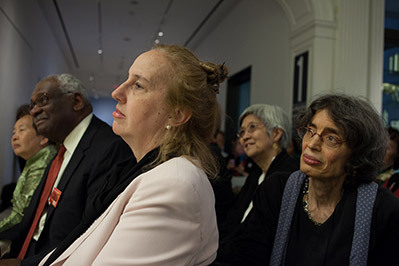 They are hosted by LaborArts, the Puffin Foundation Gallery for Social Activism at the Museum of the City of New York, and the Remember the Triangle Fire Coalition, and were organized by Evelyn Jones Rich, Sherry Kane, Rose Imperato, Henry Foner, Esther Cohen and Rachel Bernstein. Many thanks to all who helped, including Anne Newman Bacal, Emily Holzknecht, Patch and Terry Schwadron, Anna Shelkin, Inga Moren, the NY Labor History Association, and Jewish Currents. 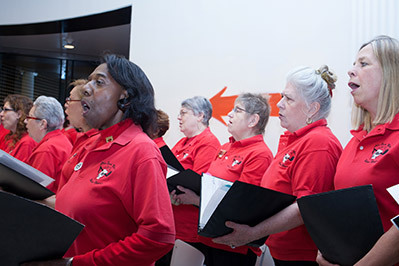 We invite you to visit the Puffin Gallery for Social Activism at this museum, to visit related online exhibits from LaborArts.org, including Women Firefighters in the FDNY and Defending the Social Safety Net, and to keep up-to-date with rememberthetrianglefire.org.